Fiordland College is a co-educational Year 7 – 13 secondary school located in the town of Te Anau, on the edge of Fiordland National Park. We are a Positive Behaviour for Learning (PB4L) school and live our school values of effort, respect, integrity and curiosity. 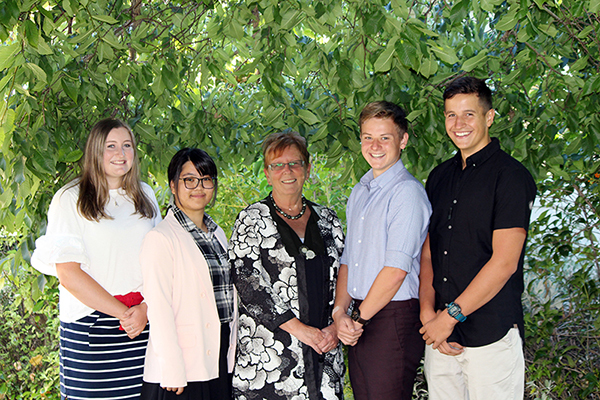 Our students come mainly from the Te Anau Basin which provides a very supportive community for our school. This is seen through the huge support our families and local businesses provide to help ensure the very best facilities and opportunities for our students. Our established reputation is as an innovative school with sound educational practices. The low teacher/student ratios make for a better learning and teaching environment. High participation by staff in co-curricular activities means exciting things happen here. We are committed to ensuring individual student needs are met. We make the most of our unique natural environment through a comprehensive Co-Curricular programme, which ensures that we fully utilise not only a world-class education but also our school’s world-class location. We are also a GreenGold Enviroschool/ Kura Taiao. Students learn about their own well-being, and that of others and society, in health-related and movement contexts. Students study, use, and enjoy language and literature communicated orally, visually, or in writing. Students explore, refine, and communicate ideas as they connect thinking, imagination, senses, and feelings to create works and respond to the works of others. Students explore relationships in quantities, space, and data and learn to express these relationships in ways that help them to make sense of the world around them. Fiordland College takes pride in its place at the edge of the Fiordland National Park and in the significant role it plays in its local community. Students explore how both the natural physical world and science itself work so that they can participate as critical, informed, and responsible citizens in a society in which science plays a significant role. The thing I liked most about my first days in New Zealand was that I was directly seen as a family member and not as a guest. It was the best time of my life, especially because of my host family. I'm really impressed by the breath-taking nature and especially by the kindness of the people. I really enjoyed camp week, when we went to the Marae and when we went skiing. I've learned a lot and had fun at the same time. This place is totally differnt from all the other places I've been to. I think I made the right decision. I chose to come to New Zelaand because of its beautiful nature. I was looking for a small school with a friendly and familiar atmosphere. I found it.